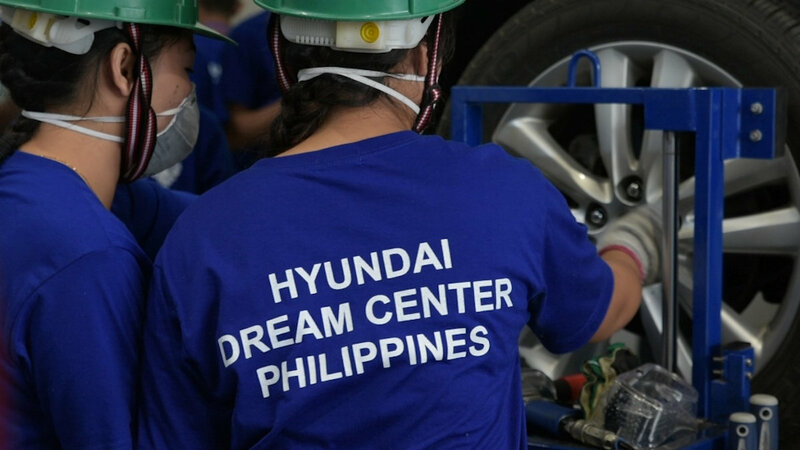 Hyundai Dream Centre Philippines (HDCP) is equipping its first batch of scholars with world-class skills in automotive technology and vehicle maintenance. Through the HDCP, partners Hyundai Motor Group (HMG), Plan International, and Hyundai Asia Resources, Inc. (HARI), aim to elevate the skills of the local workforce, broaden opportunities for underprivileged youth to begin productive careers in the automotive industry and, ultimately, boost Philippine competitiveness on the regional and global stages. HDCP offers three TESDA-certified courses calibrated to adapt to the educational level and capacity of the scholars. The 45-strong pioneer batch of scholars began intensive training in Hyundai automotive technology in March. Each course aims to develop the scholars’ understanding of Hyundai vehicles’ state-of-the-art technology, proper handling of equipment, and safety procedures and best practices in the workplace. Additionally, all scholars will undergo two months of on-the-job training with the Hyundai Dealership Network on top of studying for six months. Graduates will have the opportunity to secure employment with a Hyundai dealership as Hyundai Certified Technicians or Apprentice Technicians. HDCP is the first Hyundai Dream Centre to partner with a distributor in designing and implementing Hyundai’s signature innovation to respond to the demands of the local market. The four previously established Dream Centres in Ghana, Indonesia, Cambodia, and Vietnam partnered with local vocational schools to design their courses.